Pay through the dines app. Earn dines points. 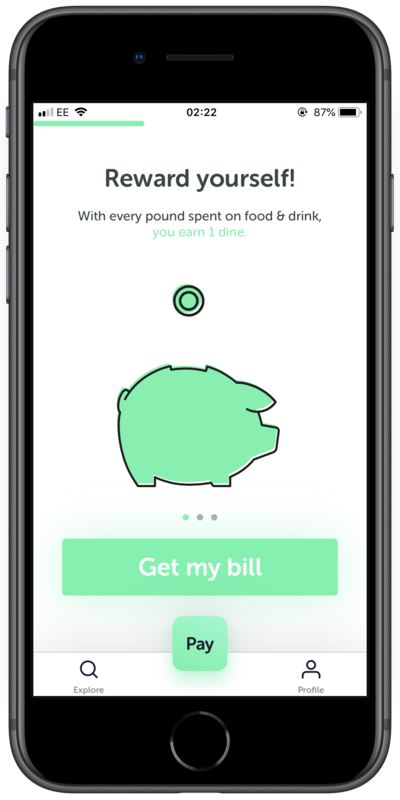 For every £1 you spend in the dines app on food or drink (but not gratuity), earn 1 dines point. Earn enough dines points and get money off your bill. 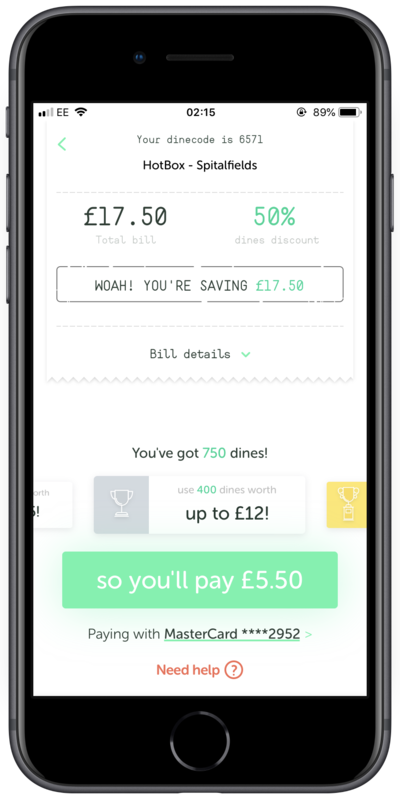 Collect points for money off your bill. For every £1 you spend on food and drink through the app we'll reward you with 1 dines point. 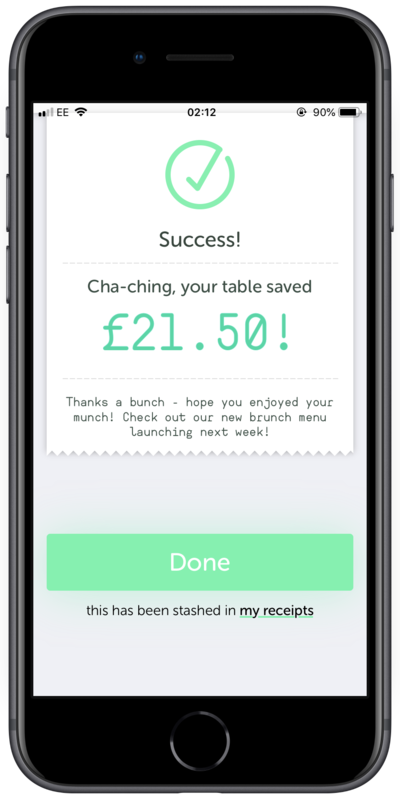 Keep your eyes peeled for our emails and app notifications as you never know when free dines points might pop up. We’re generous like that! Refer your friends and the first time they use the app to pay for a meal you’ll get 100 dines points too. 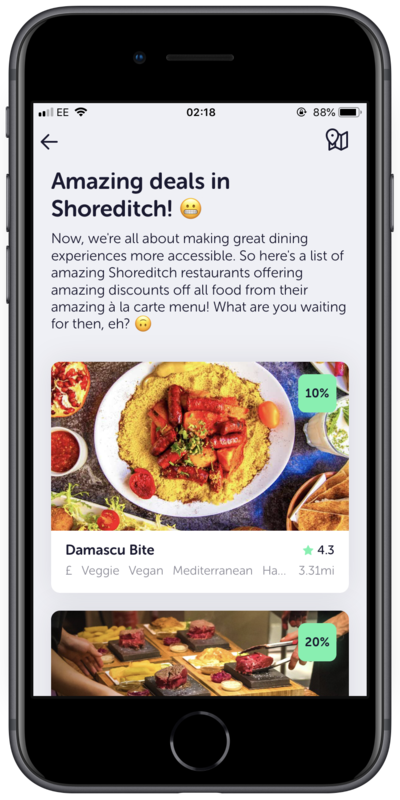 With dines points, not only do you get incredible discounts from the best independent restaurants, but you also get to save even more thanks to our rewards tiers. Rack up 200, 400 or 600 dines points for £5, £12 or £20 off your next bill. One important thing to remember: you can only redeem your dines points in 200 (£5), 400 (£12) or 600 (£20) point increments. 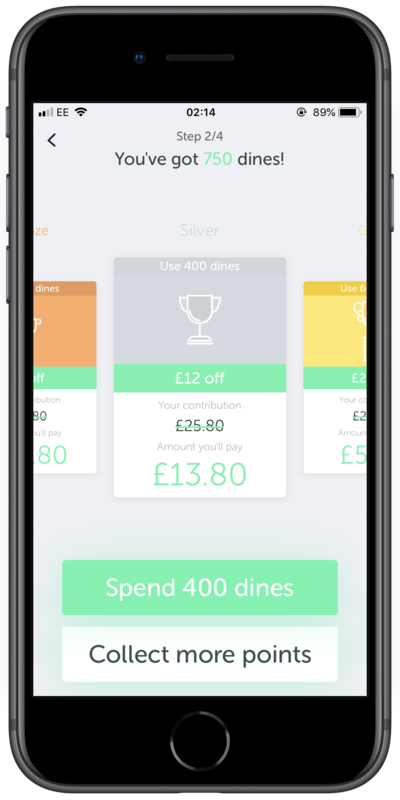 If your meal costs more than the amount of money off for your chosen awards tier, you just pay the difference through the dines app. If it costs less, you still have to redeem the necessary amount of points for that tier but your meal is free! Invite as many friends as you like to earn 100 dines points. Not only that, your friends get 200 dines points for signing up too! Want to start earning dines points right now? Join the dines Facebook group and you’ll get 50 bonus dines points. Not to mention access exclusive offers, new restaurant launches, and kudos for having the inside track on the best independent restaurants.